Happy Fifth Anniversary CHANI May 29, 2011 - May 29, 2016 Acolyte. I wish you were here. The following material is from the CHANI postings. I recall in the first days of this site, the infinity of illusion and the illusion of infinity quote was at the top of the page. I always felt this part of the material was profound and important, so for CHANI's 5th Anniversary, i'm using it, as a post and discussion topic. We have all been aware of changes, in things we have known as being one way, that are now quite obviously different. Even down to Bible passages, changing. I find it interesting that some of what was said below, in 2008, seems to be exactly what we currently discuss, as we find our way. How much talk has there been of Nazi's, Hitler, Vril, Aliens and our history being wrong? a false idea or belief. I would like to mention and update you on a few things. I will post two things. The first is some things I want you to know and the second part is a very controversial discussion I had with an Elder.
" 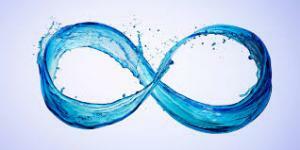 The first thing to understand the YOU, you must understand "Infinity". The second thing you must understand is "Illusion"
The third thing you must both understand the" infinity of illusion" and "the illusion of infinity"
Where you were borne and living right now in these "end" times is TOTALLY due to your karmic burden. I understand and accept this know as a fact of life.Living in a "safe place" does not mean you are fortunate, enlightened or elite, it means you are in the best place possible to learn from the experience yet to come. You are where you need to be for further growth to the Grace of the One. Now here is the controversial part which both shocked and enlightened my existence. Nothing and I mean nothing shocked or prepared me for this. Please don't judge me as Nazi or some evil. I'm only relaying what I've come to understand from communication with an Elder. He mentioned how our history was totally wrong in our history books. Especially relating to Hitler! He said Hitler tried to eradicate earth of an evil genetic generation of evil beings that was hindering the evolution of all human beings on earth. If Hitler succeeded we would today already be in a cosmic union and alliance with our galactic counterparts and entities. The elder explained that Hitler, or rather the entity that possessed Hitler, was actually the good or catalyzing force for our planetary transformation. The elder explained that "we" need another Hitler to "save" us and our thinking of love. Love is both the most righteous,balancing and misunderstood concept in our current existence and understanding.. He said there is no second coming of a "Jesus" but there is a second coming of the "Hitler entity" and that Hitler entity is already born and living among us for some time now and will come forward soon. Death and cruelty is a Gateway we still need to grasp the significance of. Everything else is a deliberate prolonging, distraction, deception and illusion of working with so called light or workers with light. A light that is wrong in so many ways it is setting our evolvement back for centuries. Receiving inspirational light messages from beings from the astral will not help us still living on the physical. The OP is not from a higher or astral dimension but from a parallel dimension very similar to our own that have gone through this. The Elders say we must not trust the astral beings ever! They (Elders) have first hand experience of the deception of so called enlightened astral beings. Light has turned into Ego and manipulation and also the agenda of the esoteric plan of deception amongst physical systems (solar systems). Ego is borne out of light and a misconceive illusion of enlightenment. It is time for us to stop using the term love as a justification for the actions by our ego. We now falsely believe light is somehow a forgiveness or a "let out Free" of our Karmic burden. Light and Love is our final test and subsequently our final failure. There is no savior or escape clause from our karmic burden. Light has no value when it existence or origin concept is born from darkness. Our human history is born from an convicted darkness enhanced by to religion and delusional new age thinking. We are "convicts" on a prison planet and time. The light is our last and final hinder to true oneness with the Creator energy. Our existence is from dark matter by the Creator. Thinking you have light is a contradiction. Enlightenment comes from the darkness of silence. Silence and servitude is the only truth. Once we realize this enlightenment is forthwith. There is no light without darkness but there has always been darkness without light.. Understanding the nature of darkness and its purpose for harmony is the lesson we, you and me, need to learn from this "prison planet: time and incarnation. Only then will the Creators true light be known to us that this place is not where we should be. The light ONLY comes when darkness ENDS and NOT before. We've not overcome darkness yet so there is no light here, however our prison term is ending..
You and me are all here to serve out our darkness(conviction). Once our sentence is over will we be welcomed back to the true light. Our hell is a true holy war and we are in the final phase of harvesting our beliefs and returning on the path of the One. Love Chani. (Please don't judge me. Care to share your thoughts? Do you understand the "infinity of illusion and the illusion of infinity"? 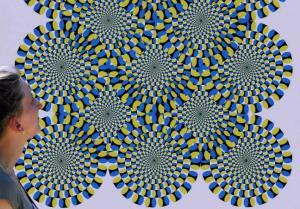 The infinity of illusion and the illusion of infinity. To me it is another way of saying "Consciousness is All there is". Will have to read again a couple of times maybe but initial read does not sit well with me either. However, at the end of the day none of us really know anything. It doesn't matter where your info comes from, who taught it to you or whether in the end it was True or Not, because at the moment there is no way of testing any of this stuff completely and we may never know for sure until we leave this Earth dimension. One thing I know for sure is that the history books are written by the victors. And my teachers told me that the only way for balance to occur is for the family of light to move into the darkness- thereby exposing it, thereby making it evolve. It makes sense that we are made of dark matter, as the centre of our galaxy is a black hole, but I hesitate to agree with someone that says we do not have our own light- as such that is not true. Our souls are our own light and is immortal. Our bodies are not though and maybe that is part of our problem and astral beings are often Archons-but not always. That being said, I had an intuition once which I did not share as I was seeking some confirmation of that- and that was that when they ( Vril and Hitler) opened to the dark source it ( the wrong part) took them over as mentioned here....I have a doubt about it though. Evil lurks in the dark. At the first hundred glances you cannot tell the difference between evil dark and wholesome dark- they look the same. Hitler could have bombed London but didn't, he could have made many different choices at Stalingrad but didn't- why? evil beings have indeed taken over- just look at the world now! The task has been given to me ( and mine) to try to find the evil in the dark and separate and remove it from the wholesome, and then balance will be restored. But they say it will be 200 years before that can happen- it depends on what we do now...our grandchildren will thank us for doing the right thing. It is true tho that by adversity do we discover our inner strength. The dark/light Mother is compassion with will and is wholesomely good and will lead to a wholesome society. The evil/dark mother will only take us to death. Care to share your thoughts? Do you understand the "infinity of illusion and the illusion of infinity"? [/"
"The first thing to understand the YOU, you must understand "Infinity". The forth thing to understand is that the above means nothing and it explains everything." -I just wrote in a post that this moment (right now) we are in the period of finding out who we are "individually". That's understanding the "YOU". What I have come across before individually but it's taken until now being here to truly grasp. Understanding the illusion is we are all from the light. That here we live in darkness of our minds. New science and ancestors speak of our hearts as the main course to which escaping the minds darkness. Enter the heart and the mind works for you. Then the mind is vast and infinite. Each moment which is infinite is new and ever creating. As far as what Jessica writes; very true...as far as outside ourselves we haven't a clue. This is why it's important to "find you" and your truths; the only way that I know of is through your heart. Where love does exist and your own freedom, peace and connection comes forth. From the last portion of what Acoloyte writes; to me very true. Darkness is nothing but simply waiting for a new creation. On earth and with each of us; we mostly walk in those shadows of our true light selves. Throughout the day or simplify it for an hour; are your thoughts positive, are your reactions postitive to others, where you're at...do you view it as positive, thinking of your past, an ex-lover (husband or wife), the person that abused you, your future, parents, siblings, where you're in your life and so on...is it from love and light or negative and darkness? See darkness is simply the absence of light (that creation). This is the simple explanation of where we are now (mostly darkness) but awaking from that place to opening this portal of consciousness to each of us. 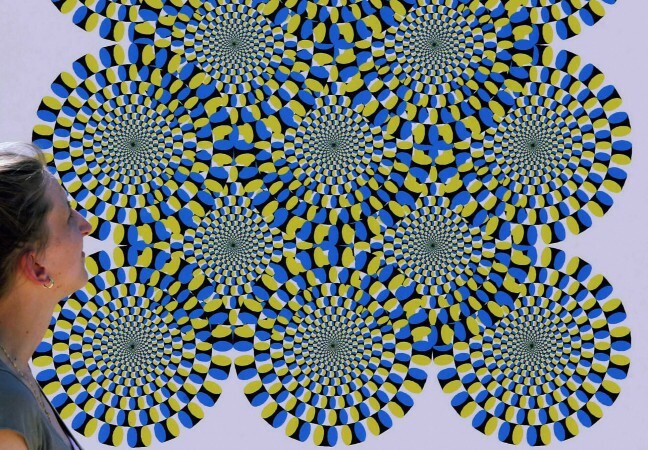 The illusion is we believe we are (karmically) trapped here for our actions (the thoughts we are aware of or not) and the feelings and emotions that bring us up "aha" or down "ugh". We all awaken, we all find out what love truly is and that we are that love of creation too soon! The last part of the illusion is we believe we are separate from that light. We only feel this way due to being pushed, pulled, hit, haggled, lifted, dropped and everywhere in between since we have been here. It all will be clear soon; don't judge your journey, you were here for the expereince. Another thing that Jessica is correct about; know one knows how we got here, how long, or when it ends and we all truly awaken. I have always felt for a long time (sometime 2017). Who knows; since journeying inward, I have learned to laugh more, love more, have more patience and listen and hear the wonderful sounds, words and stories of "what I call", the most amazing stories ever told. The title could read "From darkness into US". Simply put, until we end this cycle and move on; I will as you will struggle at times, get frustrated at times, think negative and hurtful thoughts and wonder what in the crazy hell is going on at times with the chaotic place we call earth. Mantra; simlpify, breathe, go within your heart, LET GO, release and let the next wave of energy pass by you as with the next one and the next one and the one after that! There is a saying out there before I leave to venture with the MUFON crew; "without darkness you would never see all the stars and the vast portion of the universe you're not just from; you're part of! Onward and upward! Thanks for the wonderful post breezy!!! This explains the concept of every thing being no thing. "Every action and all matter that has developed in the universe conforms to what we know as reality. The idea that our universe passes like a giant’s dream, or like a product of a very complex virtual reality program, more closely resembles an ingenious science fiction script than the crude and imperfect world in which we move every day. However, the reality that we perceive seems to be contrary to scientific logic, if we bear in mind that matter hardly exists. The construction blocks of visible matter are atoms, which are merely small nuclei lost in the middle of a great spacial emptiness, surrounded by nearly invisible particles (electrons) that orbit them at magnificent speeds. If our bodies were to be put under a powerful microscope, what would be seen would probably be a sea of sand grains in perpetual motion. According to recent research in the field of quantum physics, all of what we know as matter—the solid cement of what appears to be what our reality is composed of—could be nothing more than quantum fluctuations in the middle of the empty universe. 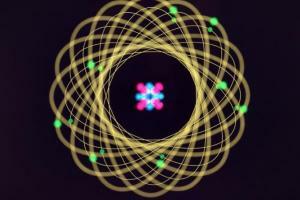 A group of physicists led by Dr. Stephen Durr from the John Von Neumann Institute in Germany confirmed that the sum of the three subatomic particles that make up protons and neutrons (called quarks) barely represent 1 percent of their total mass. Such evidence suggests that the rest of the nuclear mass would be consist of gluons, ephemeral particles that bubble in the middle of the emptiness, which function to maintain the unity among the trio of quarks inside protons and neutrons. This fact suggests the hypothesis that our tangible reality might be mere fluctuations of emptiness or purely nothing. Shadows and colors of light are crude projections of a “more real” reality. The universe that we live in presents itself as something even more illusory, where bodies, minds, and planets are parts of a great magic trick without a magician or an audience. Scientists in Hanover, Germany, working on the GEO 600, which is an instrument that detects gravitational waves, believe they have discovered a “granulation” in space-time that indicates that our universe is nothing more than a giant hologram. Those responsible for the GEO 600 believe that, in the same way a digital image loses resolution with significant increase in its size, the captured interference in the detector could be interpreted as the universe’s limited resolution of what it’s capable of providing to human eyes. There’s an exact point where the hologram of reality begins to “pixelize” itself. The scientists suspect that the precision of the GEO 600, capable of detecting variations in longitudinal waves at the subatomic scale, served to discover the tiniest grains that compose the three-dimensional holographic universe, projected from the bidimensional confines of its interior. The idea of a holographic universe isn’t new. In the 1990s, scientists Leonard Susskind and Gerard Hooft suggested that the same principle that makes a two-dimensional image on a flat surface look three-dimensional could be applied to the entire universe. Then, why do our senses perceive reality in such a distinct and “voluminous” way if we appear to be no more than shadows on a flat screen? The problem could be that our human eyes and our powerful telescope lenses conform to the reality of such a hologram of the rest of the universe." "The thing is: We'd never know it anyway. 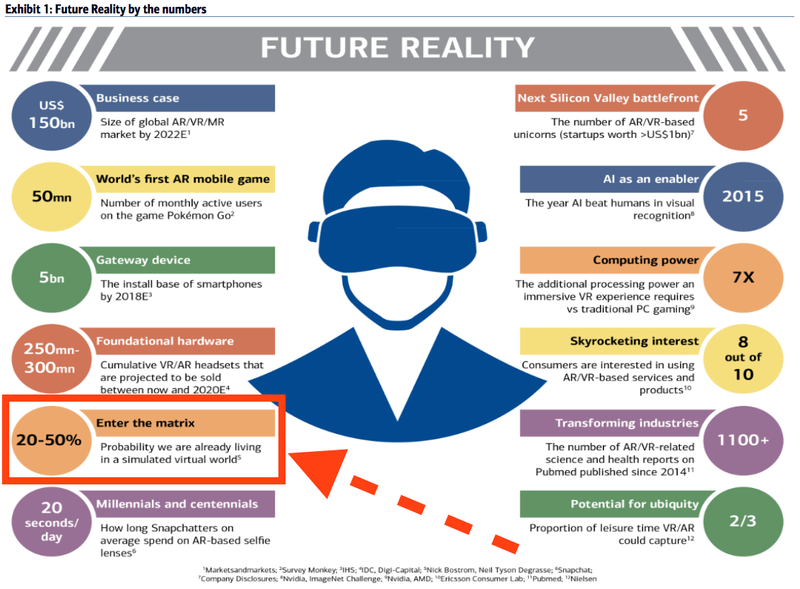 In a note to clients out Tuesday, Bank of America Merrill Lynch said there's a 20%-50% chance that we're living in the matrix — meaning that the world we experience as "real" is actually just a simulation. The firm cites comments from Elon Musk, Neil deGrasse Tyson, and Nick Bostrom's seminal paper on the issue as the basis for its 20%-50% view. "Many scientists, philosophers, and business leaders believe that there is a 20-50% probability that humans are already living in a computer-simulated virtual world. In April 2016, researchers gathered at the American Museum of Natural History to debate this notion. The argument is that we are already approaching photorealistic 3D simulations that millions of people can simultaneously participate in. It is conceivable that with advancements in artificial intelligence, virtual reality, and computing power, members of future civilizations could have decided to run a simulation of their ancestors." BAML also notably highlights Nick Bostrom's three probable scenarios for the human race, which are 1. extinction before reaching a "posthuman" stage, 2. reaching posthuman existence but not simulating evolutionary history, and 3. we are in the matrix already." “I think that reality is purely your perception"
She’ll start off by letting them know they committed a crime, and then claim to have insider information. For example: “Your parents told me that, when you were 14, you stole something, and the police were involved,” she said, adding that she’ll say she called the parents, and give details of their talk, “and then you believe me. You know I contacted your parents, and you trust them,” she continued. That gives her credibility. The illusion of infinity to me consists of the fact that everything vibrates at different frequencies. Some things even vibrate so slowly as to appear motionless, and thus seem to be infinte viewed from a human perspective, like the aeons, galaxy rotations, or the birth and death cycle of a universe. Nonetheless, everything has a beginning and an end. The infinity of illusion to me is a philosophical word-play on the elusiveness of truth. As I have asked for years now: How can we ever know for sure? If science ever proved anything it is that the more you look, the more you find. The microscope revealed new life and dimensions, so too did the telescope, Hubble Deep Field and beyond. Heck, even light itself has been stopped in its tracks and scrutinized. Imagine what we'll know tomorrow if we look at little more. Truth is a subject matter. Matter is a subject truth. lonestarr, well written post. i enjoyed it.
"" The first thing to understand the YOU, you must understand "Infinity". The forth thing to understand is that the above means nothing and it explains everything. (This is all I got and the Elder have not come back to explain or elaborate) "
"DEATH is an illusion and our consciousness simply transcends to an alternative universe, according to an astonishing theory. 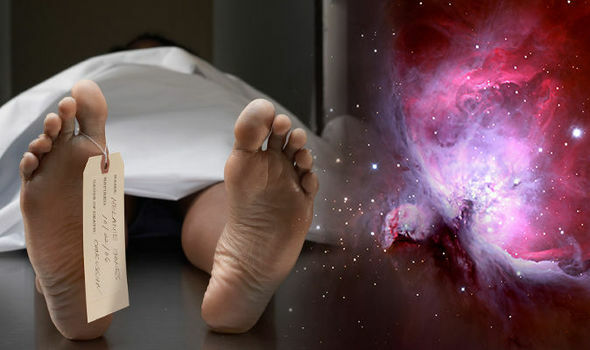 Dr Robert Lanza, a scientist and theoretician, claims there is no such thing as death – just death of the body. He believes our minds exist through energy which is contained in our bodies and is released once our physical beings cease in a process he calls ‘biocentrism’. Dr Lanza says that we simply believe we die because that is what we are taught – but the reality is an illusion. As such, when our physical bodies die, the energy of our consciousness – which scientists do not fully understand yet – could continue on a quantum level. Dr Lanza says that “there are an infinite number of universes, and everything that could possibly happen occurs in some universe”. As a result, he theorises that the consciousness continues to exist in a parallel universe. Dr Lanza points to the uncertainty principle – a 1927 theory from German physicist Werner Heisenberg which says that the velocity and position of an object can be measured at the same time. The scientist stated in an article he penned for Huffington Post: “Consider the uncertainty principle, one of the most famous and important aspects of quantum mechanics. Experiments confirm it’s built into the fabric of reality, but it only makes sense from a biocentric perspective. “If there’s really a world out there with particles just bouncing around, then we should be able to measure all their properties. But we can’t. 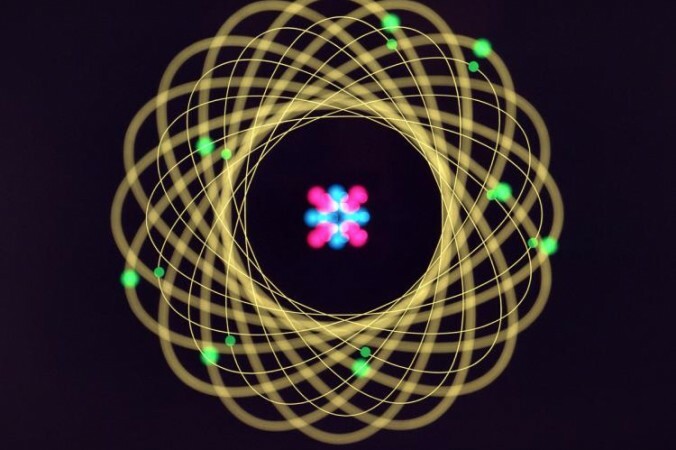 Why should it matter to a particle what you decide to measure? “Consider the double-slit experiment: if one ‘watches’ a subatomic particle or a bit of light pass through slits on a barrier, it behaves like a particle and creates solid-looking hits behind the individual slits on the final barrier that measures the impacts." "In religious mythologies, we are told human beings have a ‘real place’ to live in a world beyond the physical knowledge. At least, the three known Abrahamic religions—Judaism, Christianity and Islam attest to this claim. Many other religions also hold similar beliefs. Therefore, for many serious adherents of these religions, this world is an illusion. Such people believe this world is over for a person who dies. The ‘real life’ begins after death, in a world beyond our knowledge. Science deals with empirical evidence. Claim and proof are synonymous with science. The body has no business with mythologies or esoteric knowledge. This helps to standardize our physical or natural world. However, a group of researchers have put forward a theory in a new study that could change our total understanding of the life we live in this natural world. Probably, the messages in the old books were right. This universe will pass away. It is an illusionary place. A group of theoretical physicists and astrophysicists have revealed in a new study that there is substantial evidence pointing to the fact that everything we see and feel in this universe may in fact be part of a vast illusion. The study brought together many researchers from Canada, Italy and the United Kingdom. It is among one of the few studies conducted to understand existence in the universe. The study has been accepted into the journal Physical Review Letters. The researchers concluded that the universe is an illusion while studying irregularities in the cosmic microwave background (CMB) – the so-called ‘afterglow’ of the Big Bang. In the 1990s, astrophysics researchers put forward a theory known as Holographic Universe. They theorized that everything that makes up our 3D reality, from massive stars to tiny atoms, is all set in a 2D plain. The theory further mentioned that gravity comes from thin, vibrating strings that are holograms generated in a flatter universe, which in turn creates the illusion of having 3D depth. Until now, this complex and strange theory had rarely been tested. However, recent mathematical models suggest that the mind-boggling theory of a Holographic Universe could be true. This current study is also shedding more light on it. In this new study, the researchers examined huge volumes of data collected by advanced telescopes and sensing equipment to study the ‘white noise’ of the CMB and seek out irregularities. The researcher team said this model could help iron out some of the inconsistencies between Einstein’s theory of gravity and quantum physics, which could be explained if the universe was a hologram. Truly, the equation they formed showed that if the universe was a hologram, the structure of these irregularities could indeed be explained. Co-author of the study, Professor Kostas Skenderis of mathematical sciences at the University of Southampton, United Kingdom, compared their new theory to watching a 3D movie at the cinema. Although watching a 3D movie is not a hologram, Professor Skenderis explained that we see the pictures as having height, width and, crucially, depth when in fact it all originates from a flat 2D screen. He further stated that the difference in our 3D universe is that we can touch objects and the ‘projection’ is ‘real’ from our perspective. “Imagine that everything you see, feel and hear in three dimensions (and your perception of time) in fact emanates from a flat two-dimensional field. The idea is similar to that of ordinary holograms where a three-dimensional image is encoded in a two-dimensional surface, such as in the hologram on a credit card. However, this time, the entire universe is encoded,” he said. Professor Skenderis told MailOnline in an interview that he believes the universe is a hologram, as proposed in earlier studies. He further said things change with time, and so does physics. He also praised the theory of the Holographic Universe. “I do think we live in a hologram, and I think if we move forward in time, say 50 years from now, then physics will look very different in the same way that physics from the 20th century now looks different. Holography is a huge leap forward in the way we think about the structure and creation of the universe. Einstein’s theory of general relativity explains almost everything large scale in the universe very well, but starts to unravel when examining its origins and mechanisms at quantum level. Scientists have been working for decades to combine Einstein’s theory of gravity and quantum theory. Some believe the concept of a holographic universe has the potential to reconcile the two. I hope our research takes us another step towards this,” Professor Skenderis said. Probably, it is time for us to start thinking of our existence in this universe. If indeed we are living an illusion life, we should prepare ourselves for the real life ahead of us. We should not take chances. We would probably not get the opportunity to come back to this life once we are dead and gone." If everyone is creating their own parallel realities, then how do they all merge into one reality? The answer is: they DON’T. Many good links to other sources and much more written than I could possibly include here.